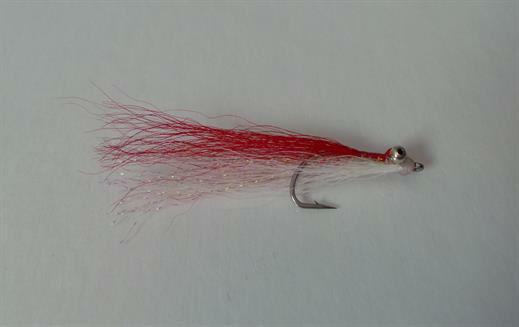 This Red and White Clouser has become a classic saltwater flyof the Clouser series It's versatility has proved to be successful on nearly every predatory saltwater species taken on fly. The weighty eyes allow the hook to point upwards thereby reducing the risk of snagging. Currently there are no comments about the Red and White Clouser fly pattern from other fly fishermen yet.